Care where, when and how you need it. Book same-day visits for everyday health needs. Open daily 8:00 am – 8:00 pm. Get treatment for non-life-threatening issues. No appointment needed. Available for My Health Online members for treatment of common health issues. 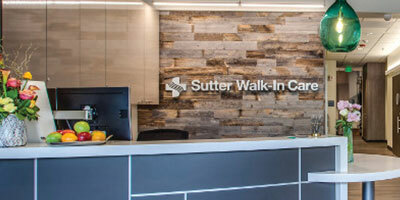 Do you need walk-in care or urgent care? Find out what everyday illnesses we treat in walk-in care. Follow these 3 steps to get started. 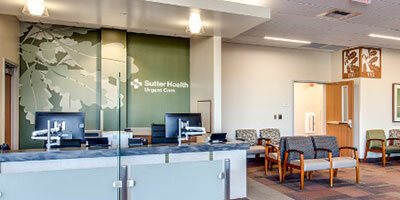 Find a doctor near you that's part of the Sutter network. Double check to make sure they accept your insurance. Book or request a time that works with your schedule. Confirm your contact information and schedule it! Talk to your doctor about My Health Online to make appointments, message your care team and refill prescriptions. Call 911 or go to the nearest hospital emergency room if you have symptoms like sudden dizziness, numbness or paralysis, difficulty speaking or loss of consciousness, chest pain, shortness of breath, sweating, severe abdominal pain, seizures or any other emergent need.